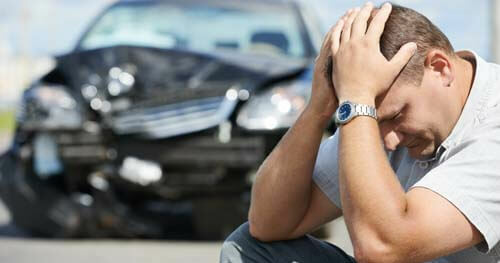 So, what should you do if you, or a loved one, was seriously injured in a motor vehicle accident? First, do everything possible to get better. Make sure you take care of yourself. Do everything your doctor has told you to do to recover as quickly as possible. Make sure to make all of your follow-up appointments. Don’t try to get better on your own. Tell the doctor(s) exactly how you are feeling, don’t minimize the amount of pain you may be in. Second, the law requires you do what is necessary to improve your physical condition and recover from your injuries. When you go to the doctor, make sure you describe your pain, injuries, suffering, etc. in detail. Everything you say will be written in your records, and they are very important because they will likely be evaluated if you are seeking compensation from an insurance company. Make sure you attend all of your appointments and therapy sessions, if needed. Also, follow all of the instructions your doctor gives you. If you are told to avoid certain activities, avoid them. Third, take photos and videos of your injuries and how your injuries have reduced or diminished your quality of life. If you can get someone to record a video of you talking about your injuries, that can be very powerful. This could definitely benefit you when you are trying to obtain a settlement. Fourth, if you are contacted by an insurance adjuster, politely defer comment until you have spoken with an attorney. You do need to notify your insurance company after a motor vehicle accident, but you have time to talk to someone who can make sure you are protected first. Contact an attorney first, then get in touch with the adjuster to document your accident and injuries. Fifth, Michigan’s No-Fault law makes sure that your medical bills as a result of a motor vehicle accident will be paid. Aside from deductibles, your expenses should be covered by your motor vehicle insurance provider and your health insurance provider. There are two types of coverage: coordinated and uncoordinated. Coordinated coverage means your health and motor vehicle insurance carriers will work together to pay for your medical costs. Uncoordinated coverage means you don’t have health care insurance, so subject to deductibles, your medical expenses will be covered 100 percent by your own motor vehicle policy. The health and well-being of you, or your loved one, are the most important things to keep in mind. For even more information, download our free book, The Michigan Motor Vehicle Accident Book, or call us and we can mail you a free copy. We serve clients in central and northern Michigan from Ithaca to Gaylord.